The power struggle between Ben-Gurion and the Knesset was not primarily concerned with who should hold the reins of power, but with the ideals that should lie behind government. 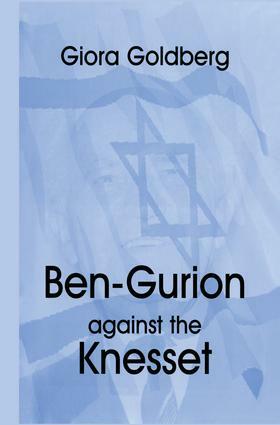 Ben-Gurion did not think that the Knesset had the moral backbone required at a historic turning-point in Israeli history, when the character of the nation was being developed; although he conceded that it was capable of dealing with the more mundane administrative tasks. He therefore denied the Knesset the right to take part in the policy-making process, caused a decline in the support of the elite and the general public, encouraged partisanship, and endeavored to reduce competitiveness. Ben-Gurion was so dismissive of the Knesset and its members, that he would not even attend parties at which Knesset members were being given awards.